Kowa has been a trusted partner in the Chemical Industry for many years. Our services aspire to completely fulfill our customers demand in terms of quality, flexibility and conduct in every aspect of business by identifying key areas for improvement and relevant projects to support those improvements. We handle global tenders, technical projects, long term collaborations as well as highly specific requests with utmost care to ensure the same quality. 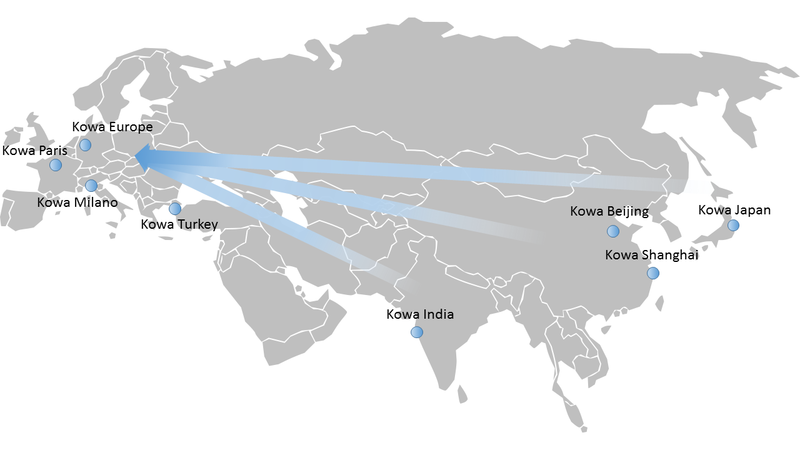 Our knowledge in supplying goods worldwide Kowa sets with focus on compliance with applicable laws and regulations worldwide. Legal requirements are complex and keeping up-to-date with the latest developments is crucial to ensure that we offer products to EU and non-EU customers which are safe and complete. At Kowa we have the necessary expertise for advanced compliance management in our Value Chain starting from the selection of raw materials to the supply and our products to end customers.